I've had it. I'm so over being pushed around. We only get one shot at this life, and right now it's like the entire universe is putting up roadblocks to keep us from being truly happy. What's it all about? I'll tell you -- Saturn's move into deep, mysterious Scorpio. 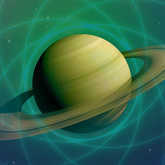 Master astrologers get riled up every time Saturn moves, because it only happens once every two years! And as it shifts into the sign of the Scorpion, the big hurdles we face will become all too clear. But instead of retreating, we're finally going to have the guts to jump right over them. Think of it as turning "Mission Impossible" into "Mission Possible." So … what's your mission? Understanding your true purpose or mission in life is the key to staying the course, riding out ups and downs and ultimately finding true happiness. The Astrology Life Purpose Report analyzes the position of Saturn in your chart, and reveals how the planet of discipline and drive is shaping your mission in life. You'll also learn about your fears, and how to better accept the new phases of your life by analyzing your North and South Nodes. Saturn and Scorpio are telling us it's finally time to step up and accept this mission. Get your Astrology Life Purpose Report and rekindle your passion! Or you can get this at no cost when you use our TrialPay partner offer.